Socrative is an excellent app that allows students to use their iPads, iPhones, or other devices as clickers, responding to prompt, quizzes or pre-made games created by the teacher. This is a great app because almost all students now have a smartphone, a laptop, or a tablet, and Socrative allows access from almost any web enabled device. It can be used for book exercises, tense practice, spelling, etc. There are so many uses for it. Try it out and you'll like it. Best of all, it's free. How to use forget with a gerund and with an infinitive. How to use would you and could you. More Modals Videos and Activities - Click Here! This is one of my favorite movie series of all time. It is about a spy who has now been betrayed by his government. It is very exciting and engaging. Included below is a downloadable worksheet that focuses on modals of obligation and expectation like should, must, be supposed to, have to, etc. 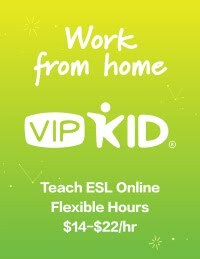 If you like this, try the Hunger Games ESL Lesson or the Avengers ESL Lesson. Here is a link to the Classroom Worksheet for Teachers. No Signup required. You can preview it below. The first page is just listening and speaking, so it could be used without the second page. If you like this activity, check out these too! VoiceThread is a great app for ESL teachers because it allows them to upload one or multiple photos/images and have students comment on them using text, telephone, webcam, document upload, and microphone. It can also allow students to annotate the photo while they are talking and use their webcam to show themselves during commentary. This allows for many positive ways for students to use their English outside of the classroom. VoiceThreads can be emailed, exported, or embedded to any blog or website. Here a couple quick ways you can use it in your ESL class. 1) For lower levels, pick a picture that relates to a unit you are studying and have students identify objects in the picture. 2) For higher levels, choose a content based picture and ask students to tell you what the people might be thinking in the picture. 3) Ask students to do a storyline by using more than one picture and multiple commentaries. Each student can add to another student's part of the story until all of the pictures are completed. How to use must, have to, and have got to. This is a lesson on restrictive and non-restrictive adjective clauses using the trailer for the Avengers. 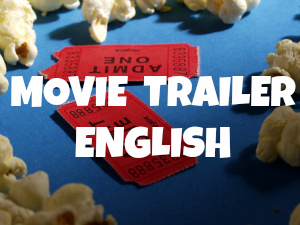 Just download and print the worksheet, distribute, and play the trailer for the class. The downloadable worksheet formatting may look off, but it will be fine once you download it to Word. You can also try the Hunger Games ESL Lesson or the Bourne Legacy Listening Activity and the NEW Man of Steel Classroom Activity. Download the Worksheet here - No signup required. Preview Below. Formatting looks off but will be okay when you download. Gerunds and Infinitives - Object of the Preposition. How to know when to use a gerund or an infinitive when using prepositions. If you liked this activity, try the Hunger Games Listening Activity or the Bourne Legacy Activity! How to use should in the past. How to use modals of advisability: should or ought to in the present tense.